Keep your eyes on the skies in 2018 with the only Astro Diary written for the Atlantic Time Zone! Can arrange delivery in HRM – Please use the contact form on this site to ask about shipping costs for elsewhere. Thank you. 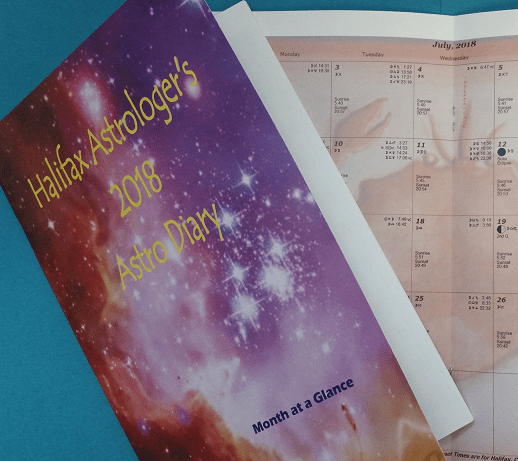 Keep your eyes on the skies in 2019 with the only Astro Diary written for the Atlantic Time Zone! The 8 March Eclipse – Eris – and You…. What is in Store? What Has Math Got To Do With Astrology? What Is An Astrologer Doing at a Wedding Show?